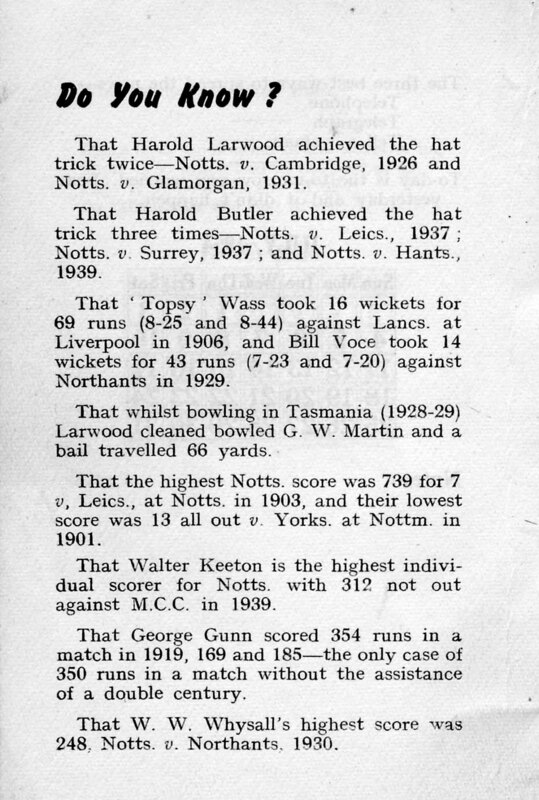 This little diary measures 8cm x 12½ cm (3″ x 5″). 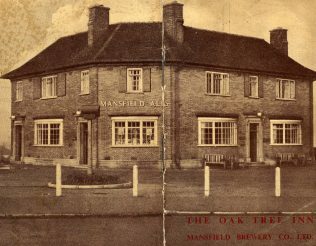 Its cover when opened out shows what the Oak Tree Inn, a Mansfield Brewery Pub, looked liked in 1953/4 (the photo would have been taken the year before the diary was published). 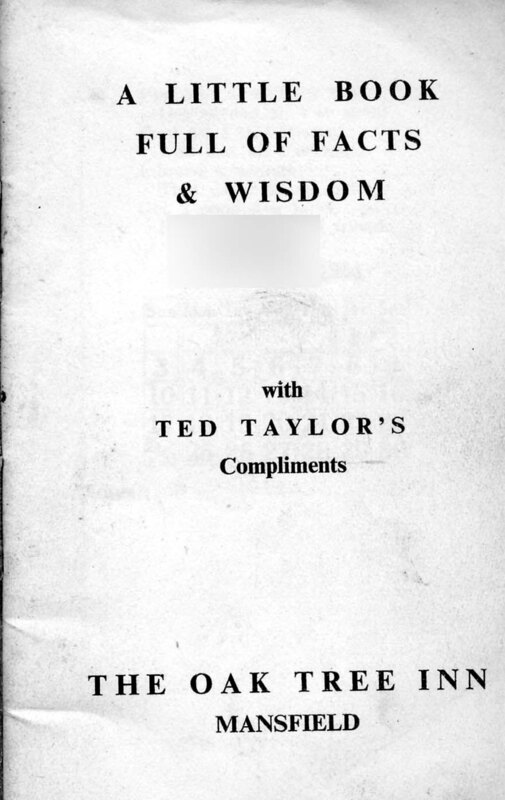 The first inside page reveals this ‘Little Book Full Of Facts & Wisdom’ was given with Ted Taylor’s compliments, he was possibly the Landlord of the New Inn. 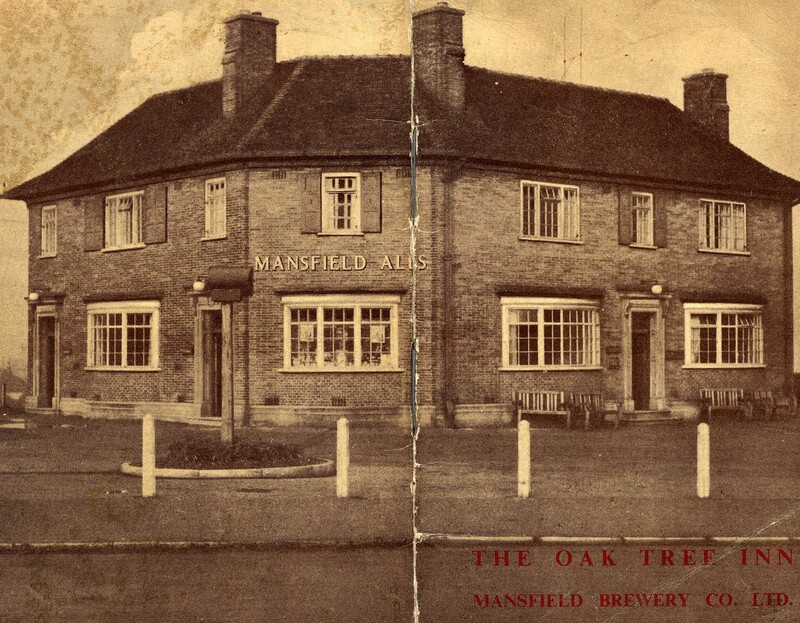 The Diary may have been published by Ted Taylor or by Mansfield Brewery. 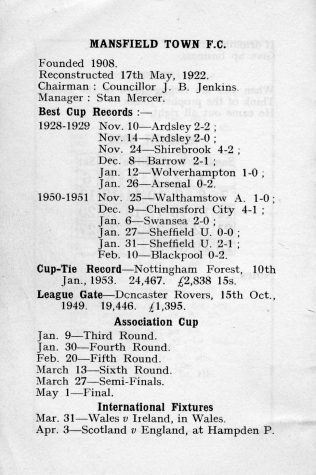 I wonder if it was envisaged the diary would last 55 years? 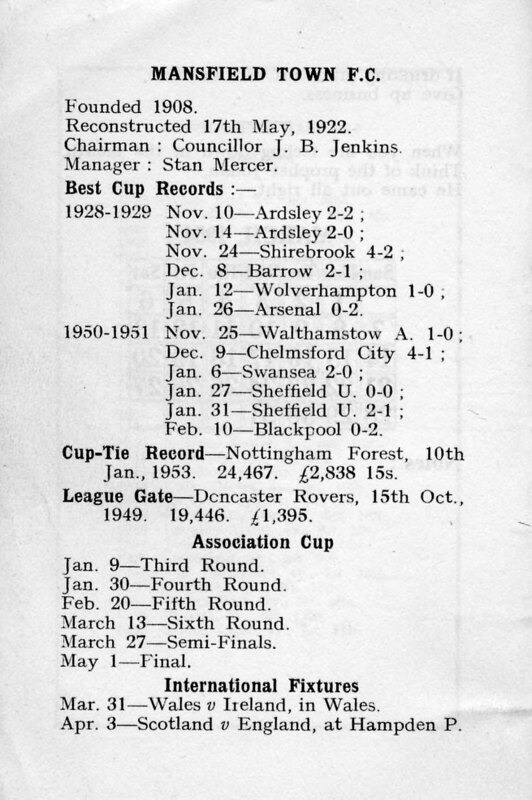 No doubt it was saved because of the interesting facts and comments that it contains. 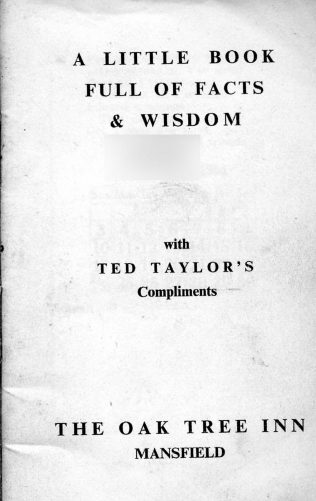 Each Month has its own page with a quote or saying. 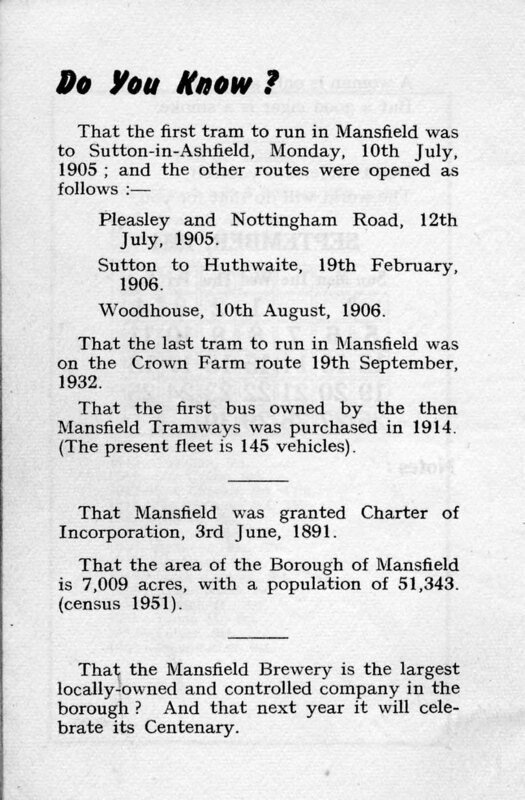 Some pages like the ones shown here have an adjoining page of interesting facts, relevant to Mansfield’s history. 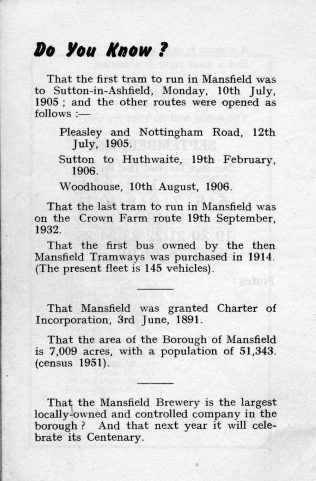 The last comment on the October page in 1954 states ‘That the Mansfield Brewery is the largest locally-owned and controlled company in the borough, and that next year it will celebrate its Centenary.‘ Today in 2009, we can only look back on that Centenary event and a Brewery that has now closed. 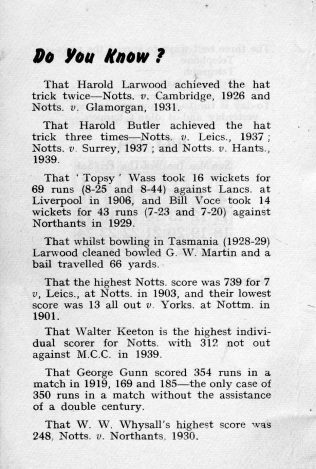 Acknowledgement is given to the Late John Newton for his interest in Mansfield and Area’s local history, and saving items such as this little book.